Chota is known for comfort. 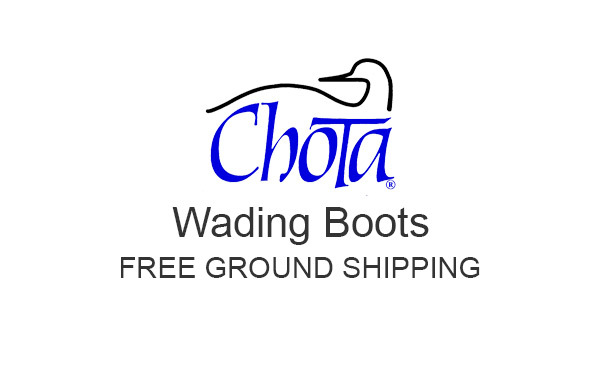 And Chota wading boots are very comfortable. I know, because I wear Chota boots and waders when I fish in streams and rivers. I don’t wear Chota boots and waders just because Frank and I are friends. I wear them because they fit well, hold up, and look good. My favorites are the STL and STL+. I keep one pair of each in the closet in my fishing room at home. If they are not there, they are in my truck, ready to go.